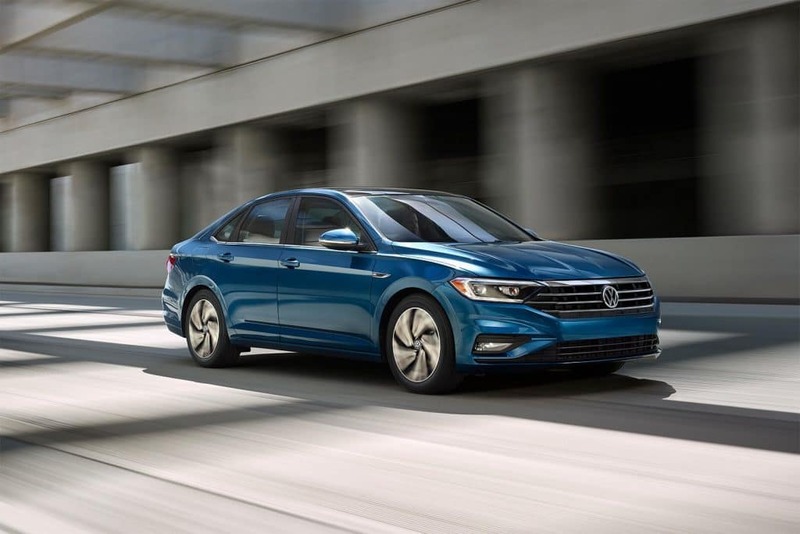 The new 2019 Volkswagen Jetta is now available for test driving at Emich Volkswagen in Denver! Looking for an affordable sedan that gives you amazing fuel efficiency without sacrificing an exhilarating driving experience? Then the all-new 2019 Jetta is the perfect car for you! With a powerful turbocharged 1.4L engine in the base S model, you might think you would not have impressive fuel economy. However, the EPA-estimated 30 MPG city/40 MPG highway fuel economy proves you can have the enjoyment of a powerful engine at an affordable price while also getting amazing fuel efficiency too! This makes the 2019 Jetta a fantastic option for those on a budget or who just need a vehicle that is as amazing for the daily commute as a weekend trip to the mountains! To find out more about the 2019 Volkswagen Jetta or to schedule your test drive, stop into the Emich Volkswagen dealership! Don’t miss your chance to get to know the 2019 VW Jetta before its official release. Our 2019 VW Jetta inventory will arrive in May so you don’t have too long to wait to purchase your own 2019 Jetta!